I love spring weekends and the outdoors. It's always been a dilemma what to wear to stay within my style, without overdressing. Recently, I spotted trendy embellished sweatshirts, first worn by supermodels and then adopted by public. As the prices skyrocket for these little closet treasures, I thought it shouldn't be too hard to do in my studio for a fraction of the cost. 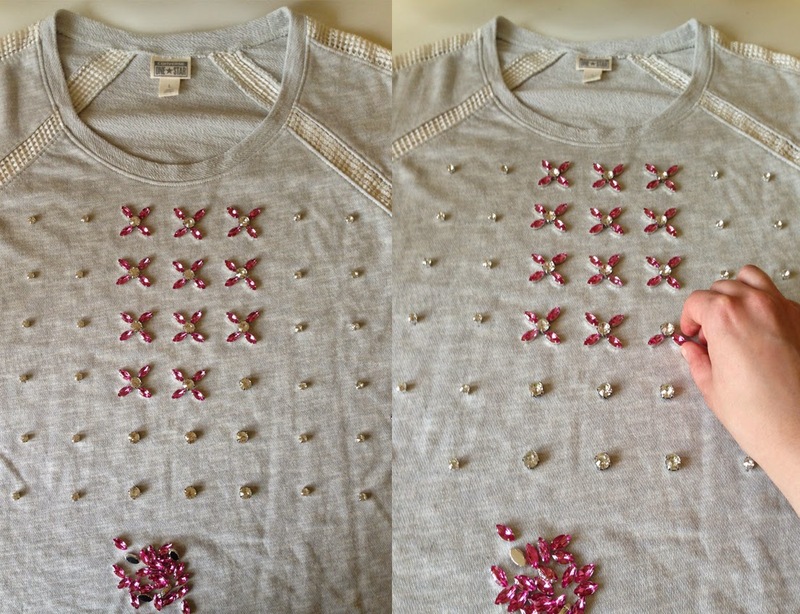 Lay the sweatshirt out flat, and using rhinestones create a desired pattern. 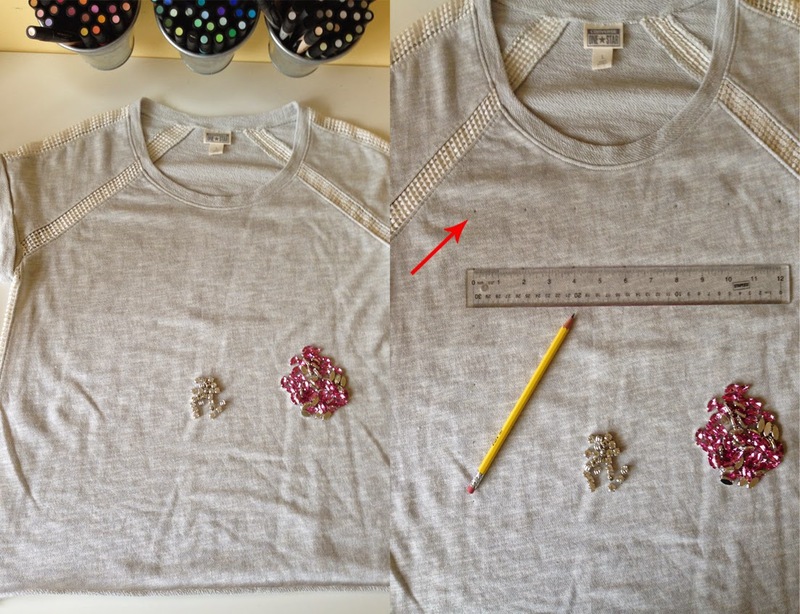 Using a ruler and pencil mark the dots where the rhinestones will be placed. Sew on the rhinestones one by one, first using the smaller pieces, then larger. This process maybe a little painstaking, and took me a couple of evenings. I utilized the time I spend watching a favorite movie, so sewing those little sparkles and enjoying a show wasn't so boring. Tip: I placed a piece of cardboard inside the sweatshirt so that catching a stitch would be easier.